Backstage at Soldiers and Sailors Memorial Hall, a dancer from Natya at Berkeley gets ready to perform. Alta, the bright red dye that accentuates the hands and feet of classical dancers, is an important part of the performance and makeup routine for many classical Indian dance forms. Symbolizing fertility and prosperity, it's often seen at religious festivals and weddings. 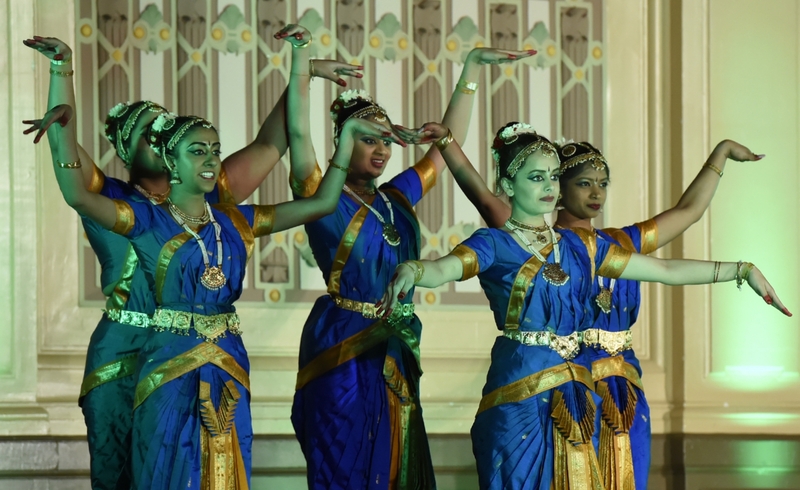 Pitt's award-winning classical Indian dance team, Nrityamala, performed one of the exhibition acts during the Dhirana show. First Class Bhangra, a team of Indian folk dancers founded at Pitt in 2009, performed one of the exhibition acts at Dhirana. The team is known for its creative props, percussion and high-energy synchronization. 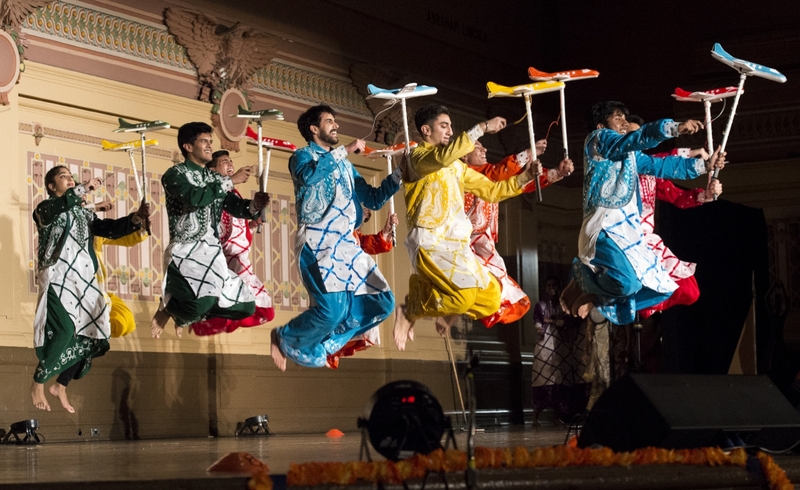 Other exhibition acts at the event included the Pitt Sangheet Indian classical music student organization; Pitt Avaaz, South Asian a cappella group; the Songburghs a cappella group; and Pitt Pantheraas and Pitt Nrityamala, both Indian dance groups. JHU Shakti, Johns Hopkins University's only classical Indian dance team, told a story about the dangers of global climate change through the art of expression, hand movements and footwork in sophisticated sequences. Competitors each performed choreographed pieces that told a story, often with religious themes or related to contemporary issues in the world. These dancers from Boston University's BU Dheem depicted the story of Samudra Manthan, which explains the origins of amrita, the nectar of immortality. 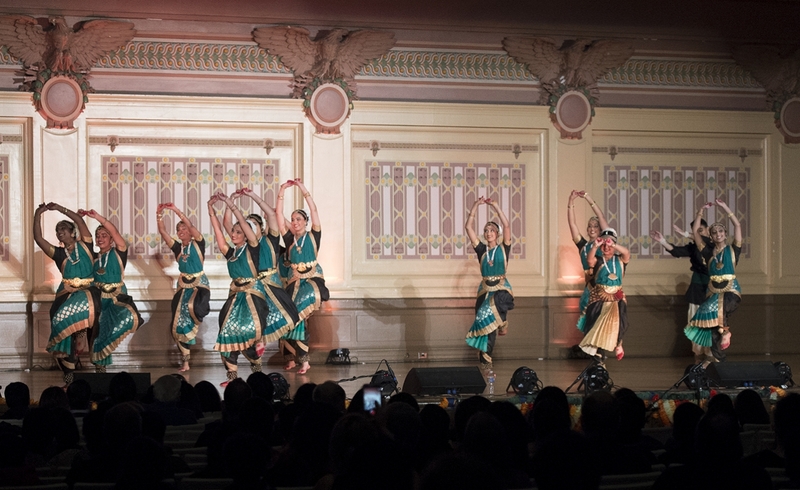 In a swirl of color on March 18, eight classical Indian dance teams from across the country helped to raise money for the Birmingham Free Clinic in Pittsburgh for the sixth year. The free clinic, one of the longest running in Western Pennsylvania, has helped un- and underinsured community members get access to health care since 1994. It relies heavily on donations, volunteer providers, and students and community partnerships — including with Pitt’s School of Medicine and The Salvation Army. 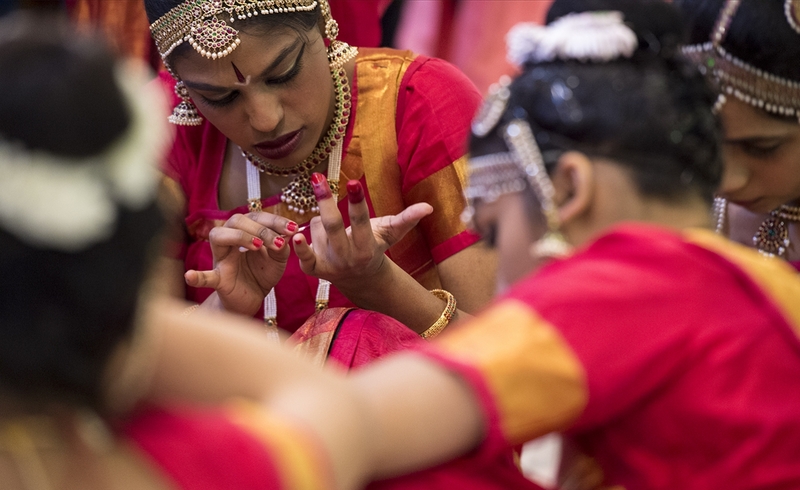 Thanks to Pitt’s Dhirana (pronounced DEER-a-na), one of seven national classical Indian dance competitions, the clinic has been able to serve a growing number of patients. Dhirana was founded in 2012 by a group of socially conscious Pitt students who wanted to give back to the community and promote cultural diversity at the same time. Over the past six years, Dhirana has donated more than $60,000 to the Birmingham Free Clinic, making it one of the single largest individual donors to the organization. This year’s event raised more than $10,000 and included teams from the University of Maryland, the University of California at Berkeley, Johns Hopkins University, Tufts University, Boston University, Case Western Reserve University, Virginia Commonwealth University and the University of Illinois at Urbana-Champaign. 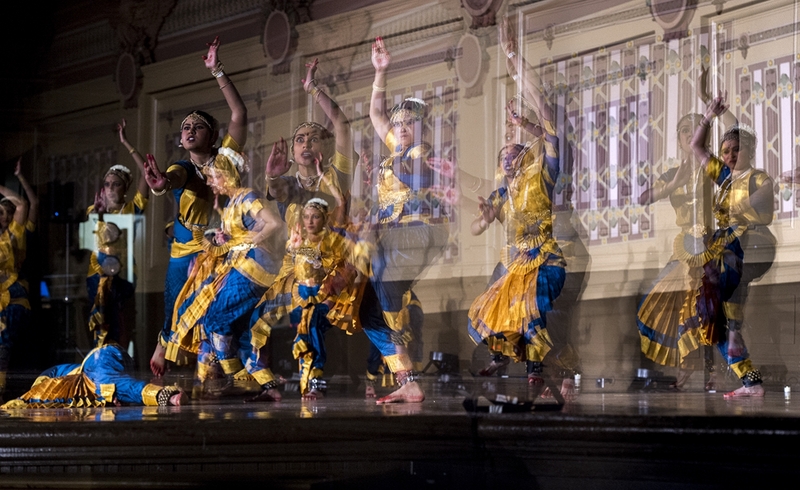 Pitt's award-winning classical Indian dance team, Nrityamala, performed one of the exhibition acts during the Dhirana show. The money has supported medication and immunization budgets, insulin and even a new electrocardiogram machine for the clinic. For its longstanding commitment to the clinic, this past fall, Dhirana’s community outreach committee was invited to tour the facility and was thanked with a plaque at a reception in their honor. Eva Roy, a senior psychology and anthropology major and Dhirana’s public relations co-chair, explained it simply: When Pitt hosted a traveling national classical Indian dance competition in 2011, people showed up in droves, she said. That success sparked the establishment of Dhirana as an annual event. The founders in turn wanted to pick a local nonprofit to support, “somewhere they could really see where the money was going,” as a way of sharing gratitude and enthusiasm with the Pittsburgh community. Beyond the local circle, Dhirana is “a great way to stay connected to our culture, our heritage and our roots as college students in the U.S.,” said Roy.